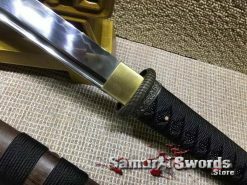 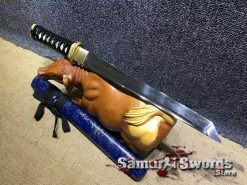 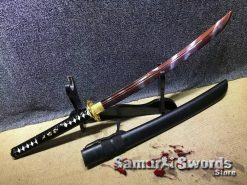 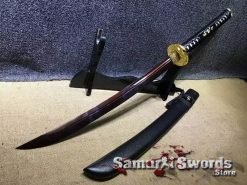 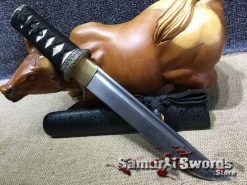 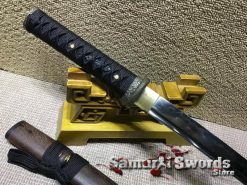 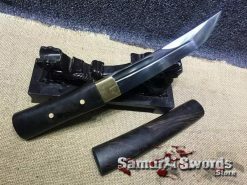 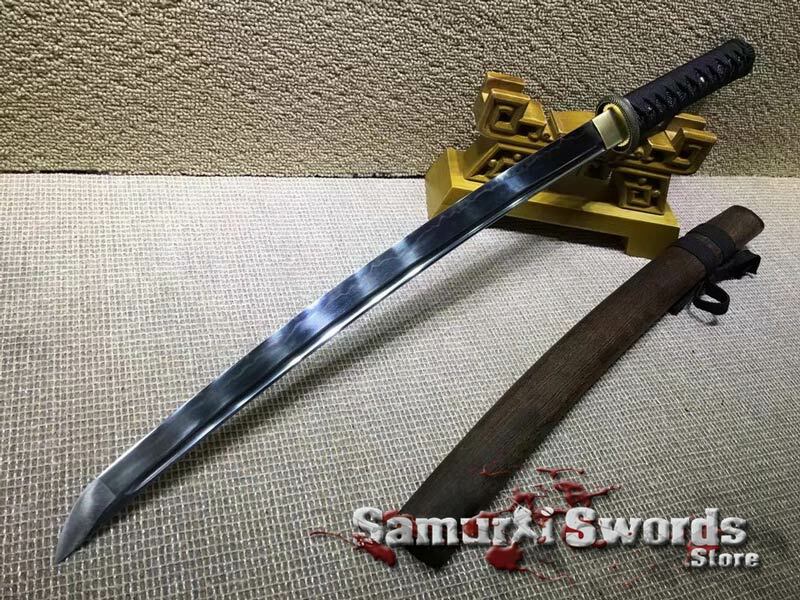 This T10 Clay tempered Wakizashi is a full tang samurai sword with a fully functional blade. 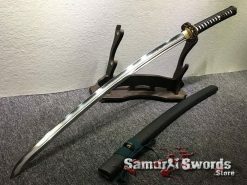 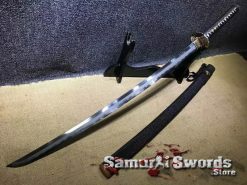 This samurai wakizashi is made of T10 clay tempered steel so it is great for extensive Tameshigiri; also, T10 has a carbon content of 1% and has hardness of around 62 on Rockwell scale. Because of this, the Wakizashis blade is excellent for cutting through tree branches, tatami mats, and also fresh bamboo. 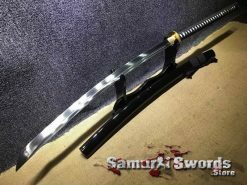 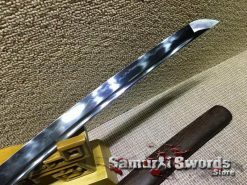 The steel is clay tempered and has sleek and shiny surface and feature wavy hamon; the clay tempering process gives the Wakizashi a tough edge with a softer spine. 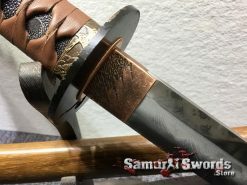 Having a tough edge will help the samurai sword retain its sharpness while the soft spine will allow the blade to bend and not break and offer flexibility and cutting power. 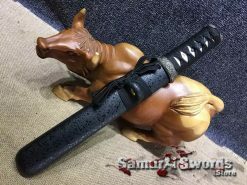 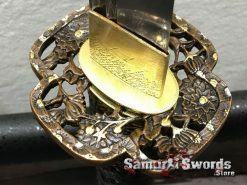 For the fittings, this Wakizashi features a tsuba, fuchi, menuki, and kashira that are all made from metal alloys. 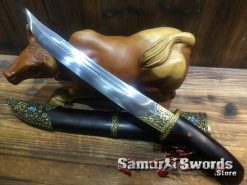 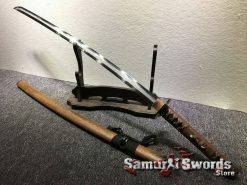 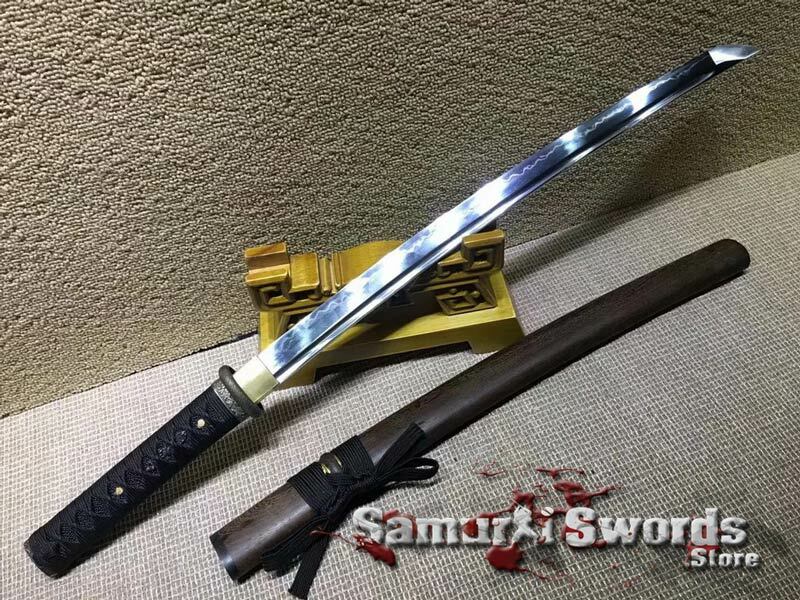 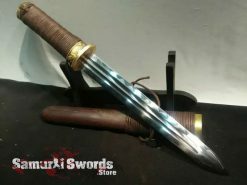 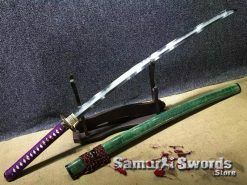 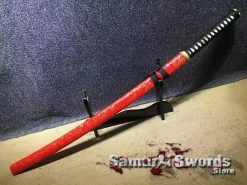 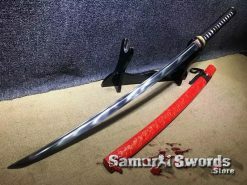 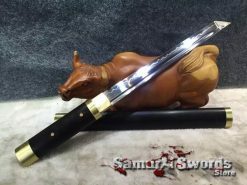 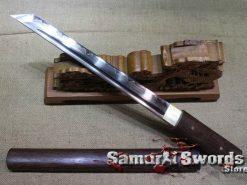 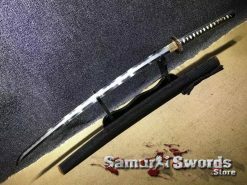 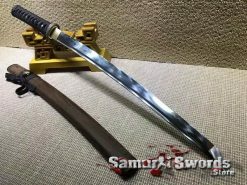 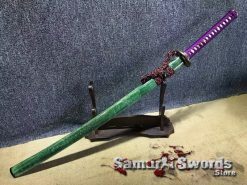 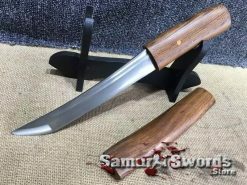 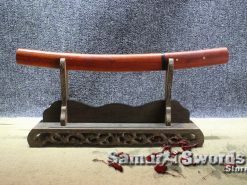 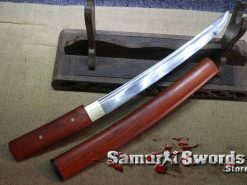 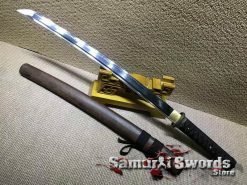 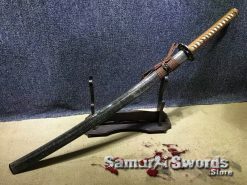 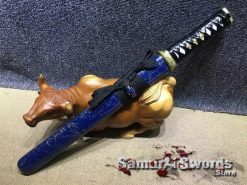 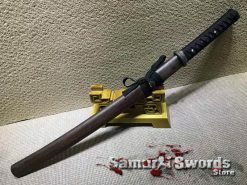 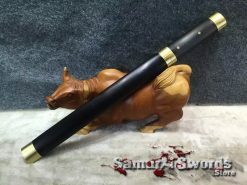 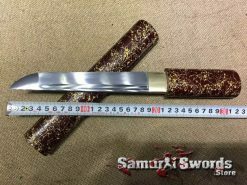 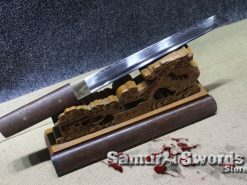 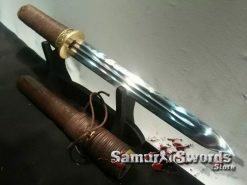 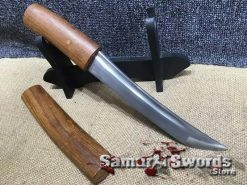 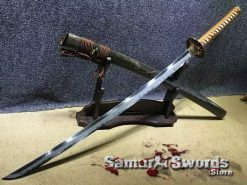 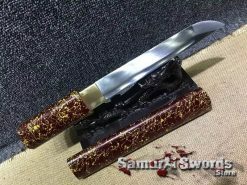 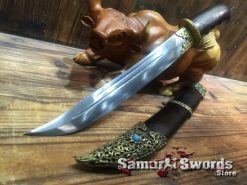 This samurai sword also comes with a saya that is made from rosewood that is durable enough to protect the blade when it is not in use. 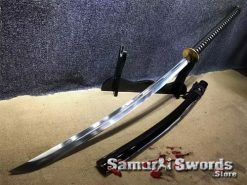 Moreover, the Wakizashi comes with a free sword bag that is made from rayon silk which is a useful piece especially when carrying the Wakizashi around.